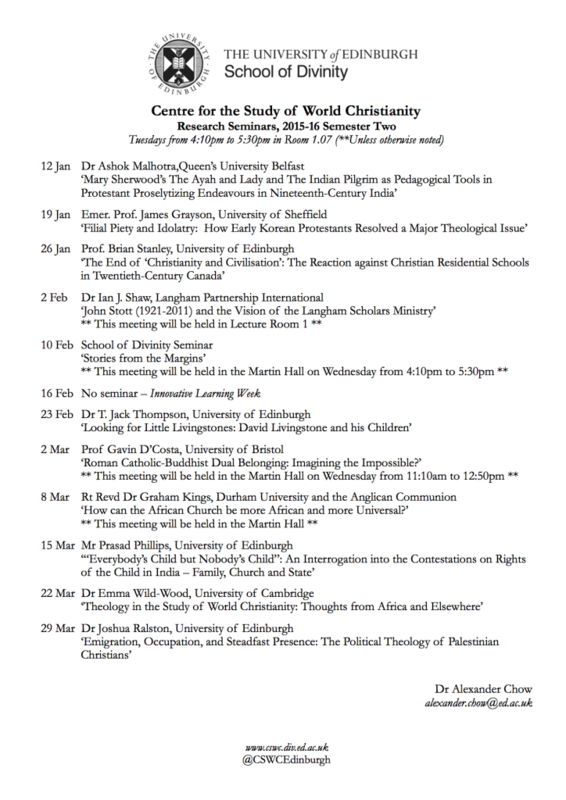 We have a great lineup for our research seminar this semester. Please download it from the attached PDF. In October 2015, the Centre’s Prof. Brian Stanley offered a public lecture at Honam Theological University Seminary, hosted by its president Rev. Dr Young Sang Ro, commemorating the centennial of the death of the important Scottish missionary to Manchuria who produced the first Protestant Bible in Korean, John Ross (1842-1915). Are you interested in pursuing an MTh or PhD in World Christianity?